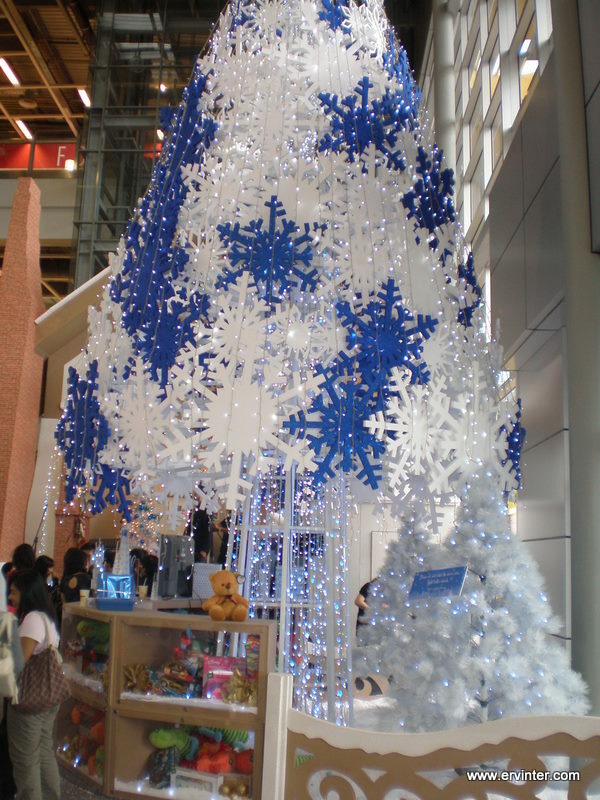 I saw that Xmas tree in pavilion. 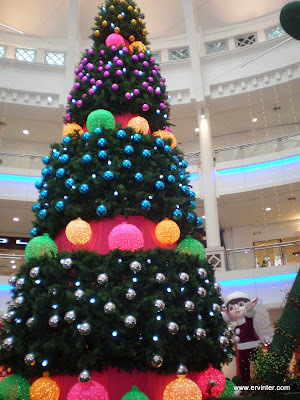 Christmas decorations in Malaysia is always restricted to the inside the malls or within its compound. However, in Singapore, they do decorate the whole Orchard Road with never ending lights and Xmas ornaments throughout the stretch of the road. It's completely a different atmosphere. I always like Midvalley's deco. Very grand and inspiring. no worries on the photo part. do u know in some part of hangzhou, they took down the deco on the 25th itself! haha. (btw ive wondered why some deco are in red - i think some are reusable for cny... not the full trees, but some parts). I like very much the one at 1Utama! Grand! 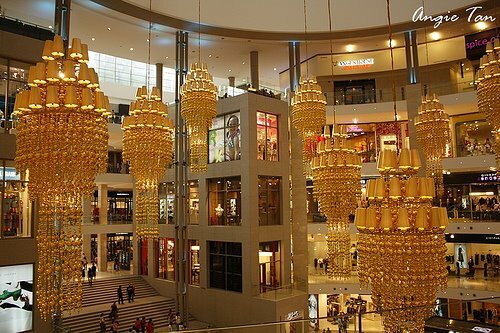 I would say The Curve is the best among all decorations around shopping mall in Malaysia. Lovely xmas photos at shopping mall. wow... great Christmas trees!! thanks for sharing..
For me it's a toss up between 1 Utama and The Curve. I like The Gardens' for the huge cages. 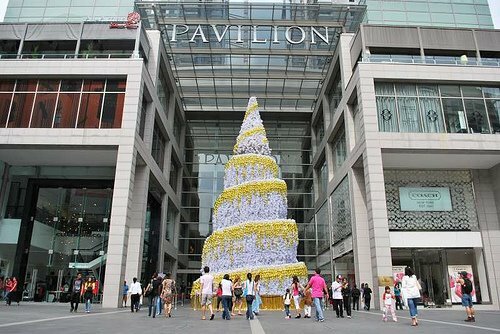 I have to give KLCC props for recycling their faux tree and also for not bringing back the huge purple baubles. Ha Ha, I have almost the same photo collection like yours but I don't think I will be posting them. Cheers! xin, thanks! Yeah, The Curve has one of the best Christmas deco this year! But I think their Christmas deco was better last year. one utama and the curve looks nice. and klcc is also good. i see it almost everyday since i work around klcc. Lovely! Thanks for sharing them, Foong. Glad you've got the one at Mid Valley Megamall because they won the Best Decorated Mall this year, twice in a row. rad, 1utama is not bad, but I somehow feel it's missing something. Not sure exactly what. Maybe too much empty spaces? synical, I actually wonder what they do with the cages at The Gardens? I think it's about time KLCC change their tree - they have been recycling it for the umpteenth time! 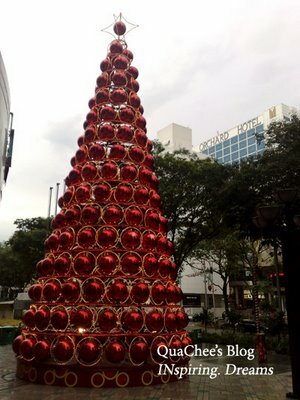 day-dreamer, I mean to ask which shopping mall in Malaysia only : ) But yes, Orchard Road definitely has some of the best Christmas decos - I love the Christmas mood over there! Oh..And the red one at Orchard Road, outside Forum looks pretty at night although it's simple. Was just infront of it just now..lol! aiya! then i have to go back to work on friday, 2/1/09! I like the decor at the Curve! 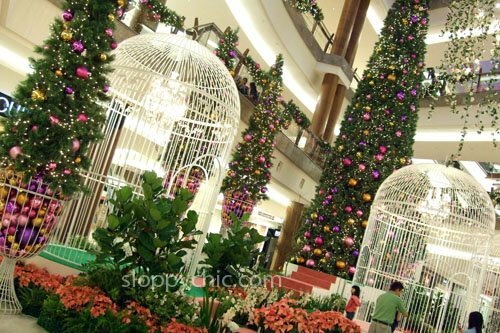 garden looks pretty cool too.. but klcc always use the same tree, just different decor. 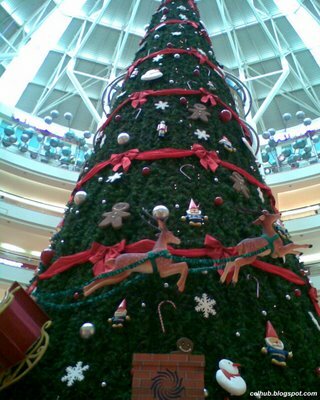 wonder how much it costs that tree..
de sunway realy looks grand! all red! Please collect your awards here. cbenc12, yes all red and can recycle for CNY too! LOL! johnny ong, I don't quite agree with your choice, but well, they did win an award for best decorated mall! That is really a lot of Christmas trees! 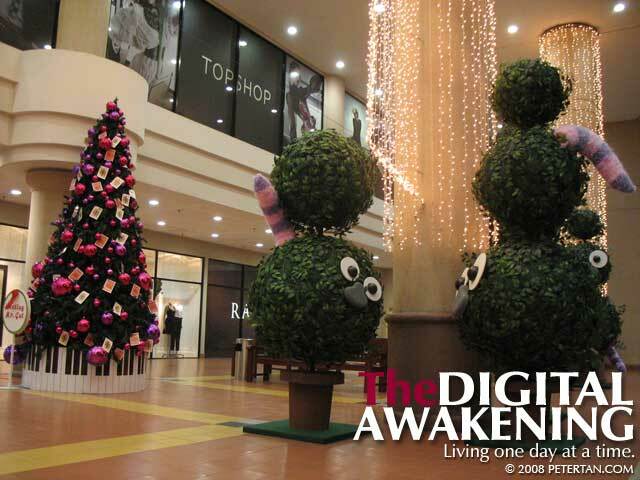 The shopping malls nowadays are going all out in decorations, competing with each other. And in Malaysia, we have festivals all year round. Next up will be CNY. 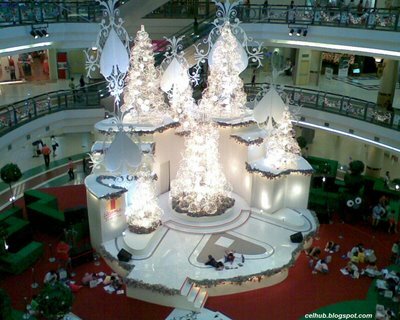 Personally, I like the Christmas deco at Mid Valley. I really brings out the festive mood in me. The 1 Utama deco is a bit bare this time around. Due to the economic recession perhaps? Nice collection of decos!! 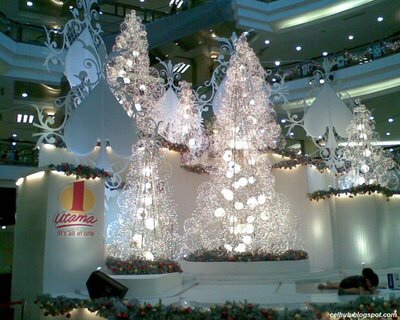 I didn't have time to visit The Curve, 1Utama, Sunway Pyramid and MegaMall for the decorations. So, this saves me the trouble of seeing it all. omg! the xmas tree are so humongous! can i get one for my house? Nice collection of photos and I can see them in a roll now! haha.. Happy new year! curryegg, thanks! Happy new year!! tekkaus, really that bad in Melaka? 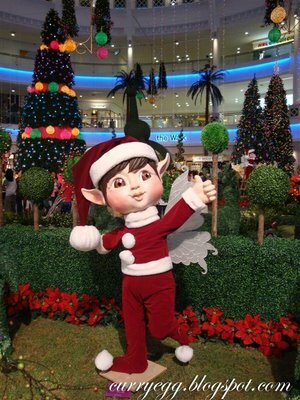 Yes, I agree last year Christmas deco in MidValley was good, but not this year. I prefer Curve this year. 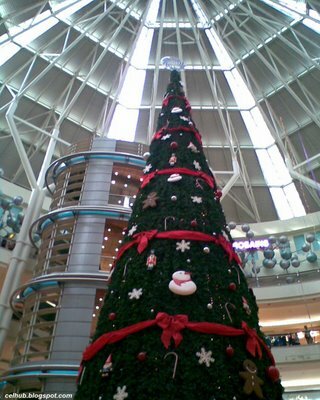 I saw in newspaper look like Midvalley Win out in X'mas Decorb. raymond, I'm afraid I could not access your blog. Perhaps you can pass me your blog's URL.